Honka Black is an Orchid dahlia with very distinctive flowers. They are becoming very popular as they are great for attracting bees and butterflies. Honka Black is superb variety with blackish/maroon flowers. This is a great addition to our range. Dahlia Honka Black is an Orchid dahlia with very distinctive flowers. They are becoming very popular as they are great for attracting bees and butterflies. 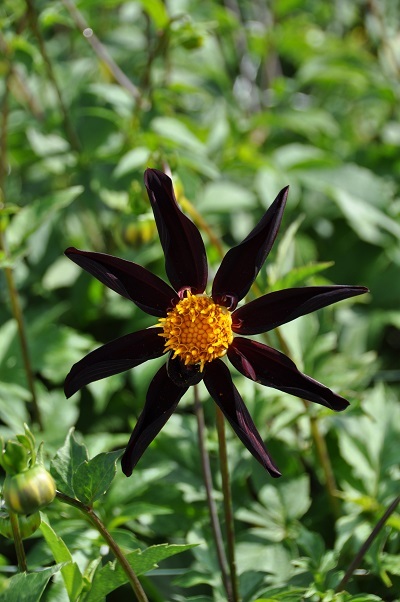 Dahlia Honka Black is superb variety with blackish/maroon flowers. Dahlia tubers are best started off indoors from January to March. Once the fear of frosts has passed they can be planted out into the garden or containers. This is usually towards the end of April but can be earlier in the south and in coastal areas. 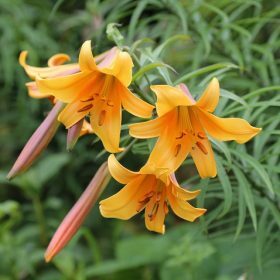 Alternatively they can be planted direct into the garden when the soil has warmed up and the fear of all frosts have passed. Cultivate soils to a depth of 20cms and plant tubers so that the top of the tuber is 5cms below the soil surface. Soils are best manured in the winter, as the young roots do not like fresh manure around them. 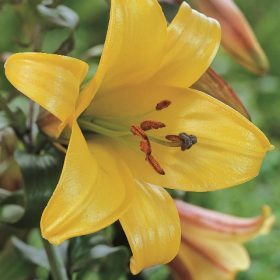 Our tip: Ideal for encouraging pollinating insects to your garden. Remove dead flower heads to ensure a summer of flowers and remember to feed during the leaf and flower stage with something like bone meal or tomorite. 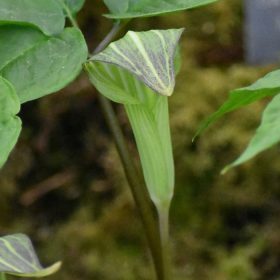 Flowering Period: July to first frosts. Soil type: Free draining humus rich soils, in heavier soils add grit to help with drainage. Aspect: Semi shade to full sun. Can also be grown in containers. 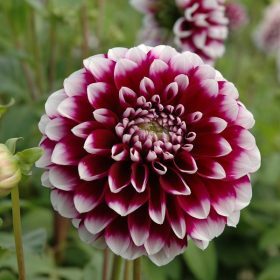 Visit tims tips dahlias on you tube for further growing advice. 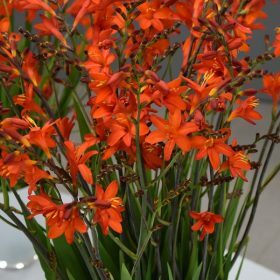 The flowers of Crocosmia Anna Marie are orange-red. Crocosmia’s increase well in the garden if left undisturbed and are also good for using as cut flowers.